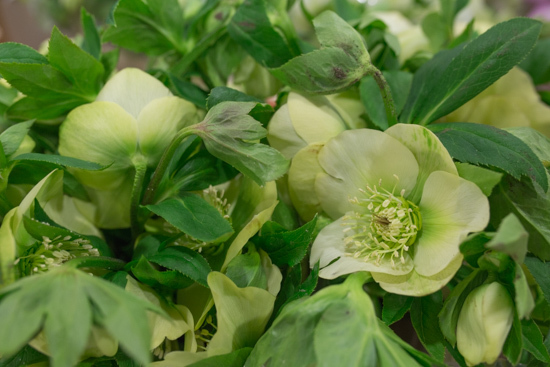 Hellebores are the focus of this month’s Product Profile. 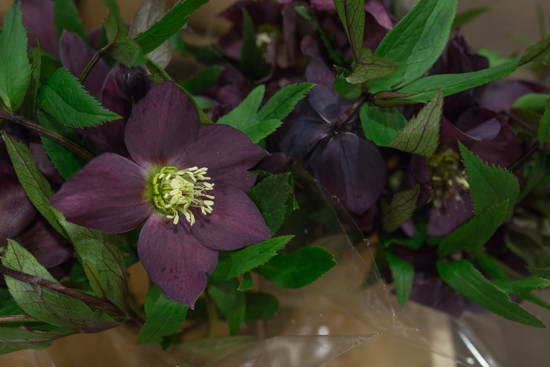 You’ll find them in abundance at New Covent Garden Flower Market at the moment, both as cut flowers and plants. 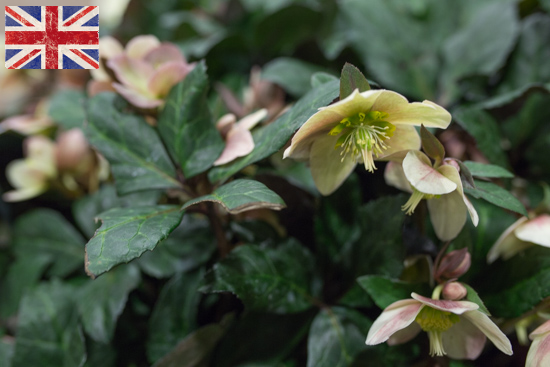 Look out for this very pretty variety called Helleborus orientalis ‘Queens Light Pink’. 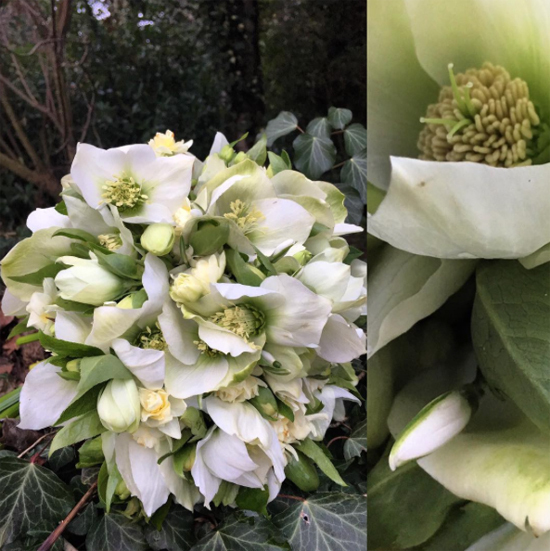 From the Ranunculaceae family, the botanical name Helleborus is derived from the Greek words elein meaning ‘to take away’ and bora, meaning ‘food’. 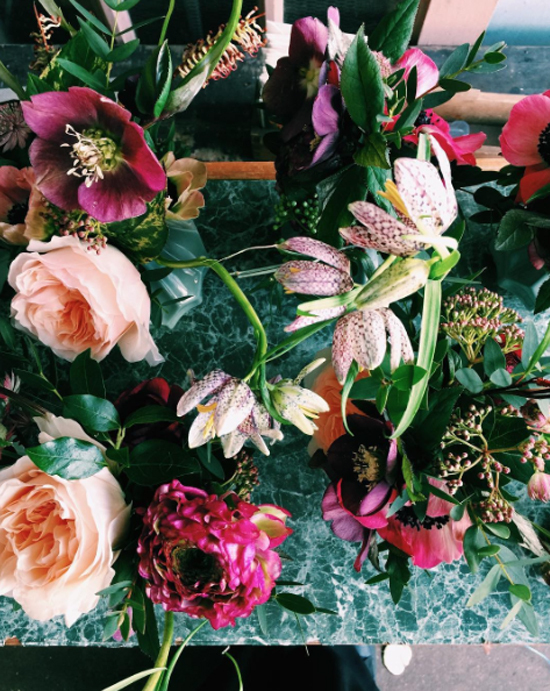 The root of the plant induces vomiting, hence the name’s origin. 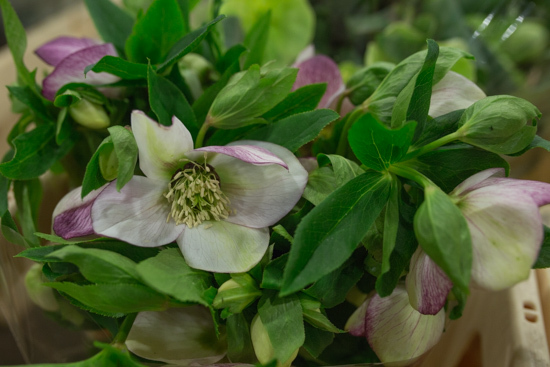 With photogenic, five petalled flowers in a range of colours including pure white, cream, pale yellow, green, blush pink and deep plum, you’ll find some are spotted, freckled or bi-coloured. 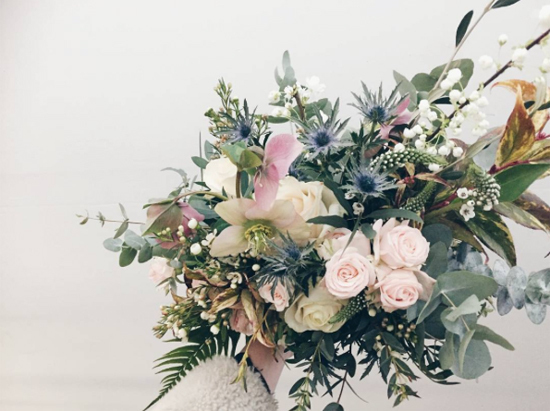 And look out for single and double forms. 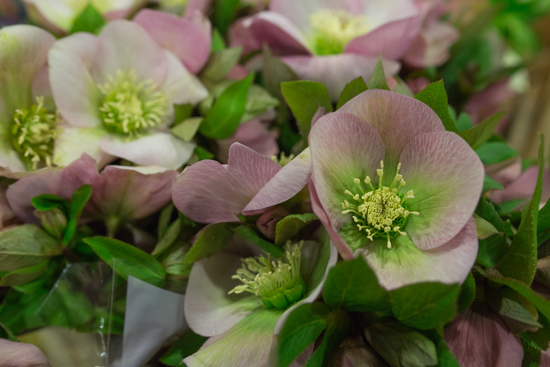 Hellebores have distinctive stamens at the centre of their blooms and their flower heads have a tendency to ‘nod’. 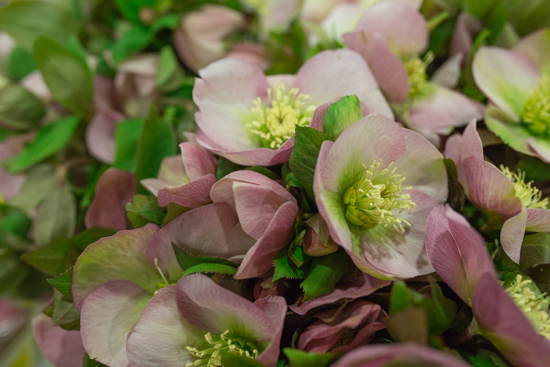 A popular variety, as a cut flower, is Helleborus orientalis. 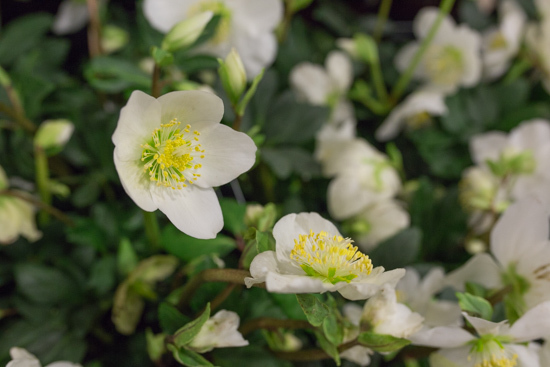 And you’ll find Helleborus niger with white blooms, which is also known as the Christmas rose. 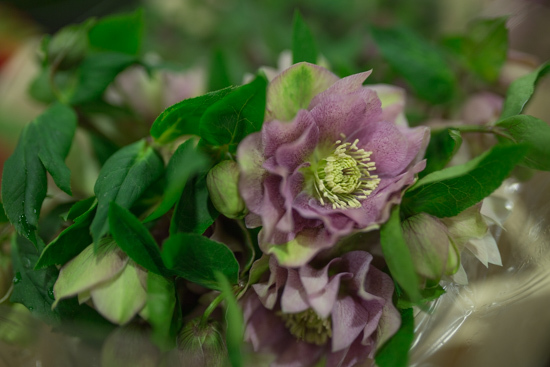 Cut hellebores are usually available at the market from November/December through to April. 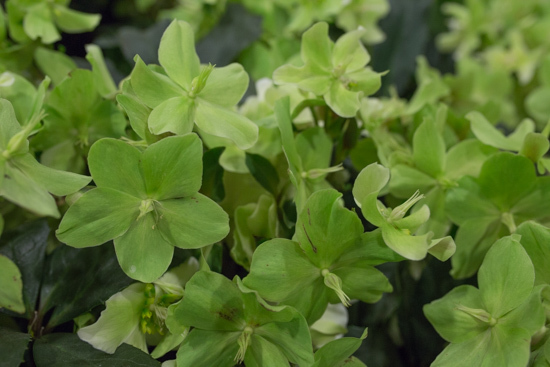 Their peak season though tends to span February and March. 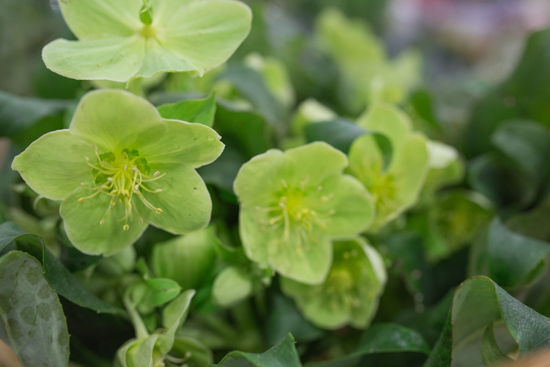 Hellebore plants, on the other hand, are generally available from October/November until February/March. 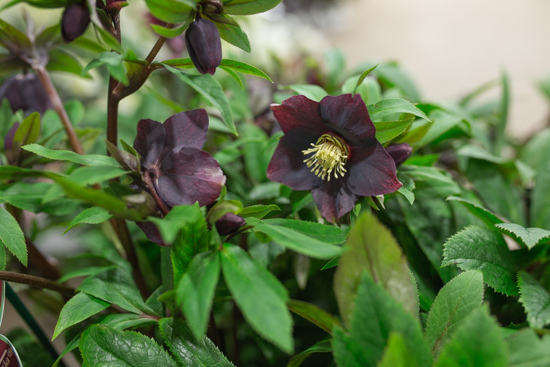 Hellebores can occasionally be a little bit temperamental and wilt prematurely. 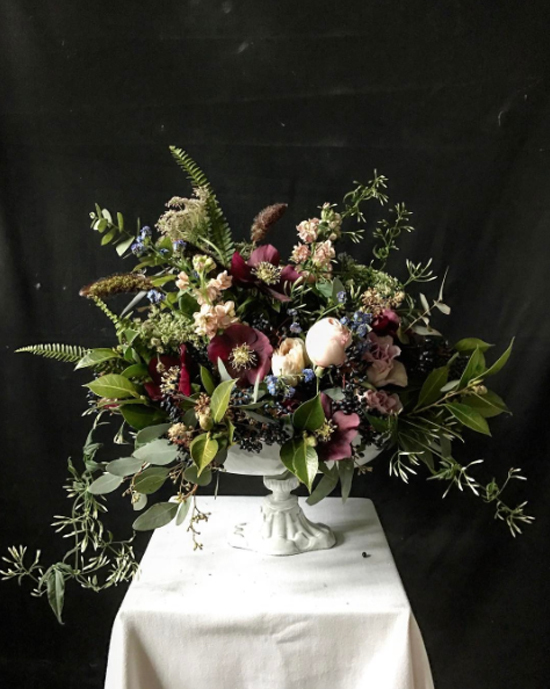 To remedy this tendency, florists have several different tricks up their sleeves. 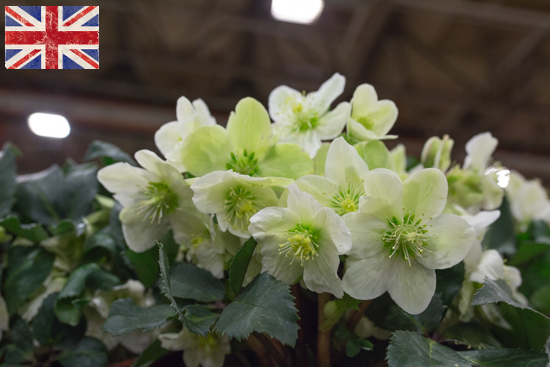 Here are some tips on how to condition them or revive them to their former glory if they’ve started to droop. 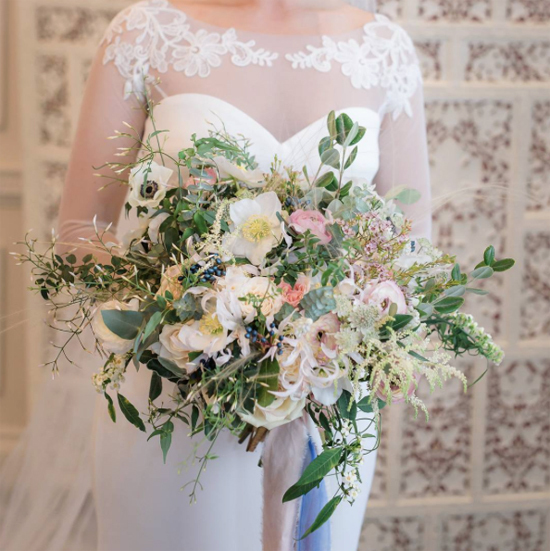 Once you’ve removed any surplus foliage, cut the stem both at a slant and up. 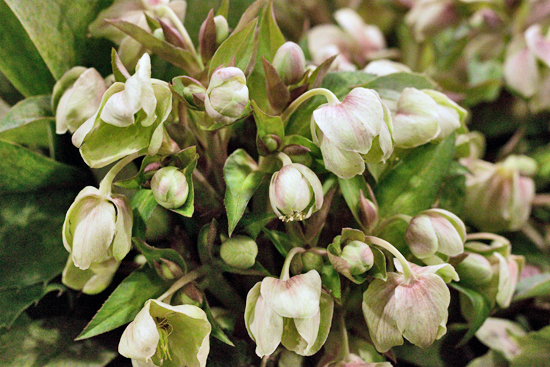 Then place the stems in boiling water for 30 seconds. 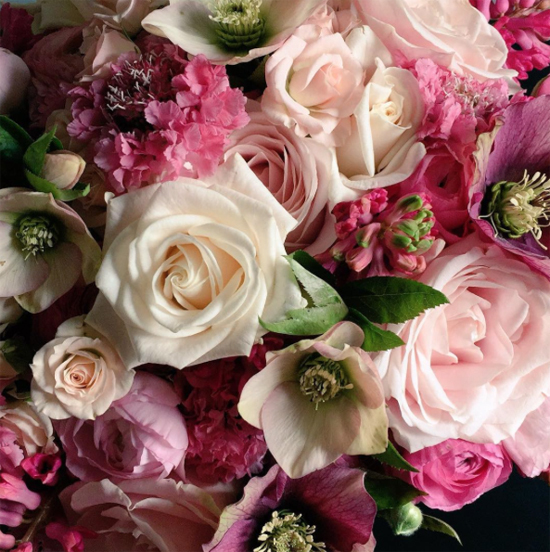 Wrap the flowers tightly in paper, place in warm water and leave overnight. 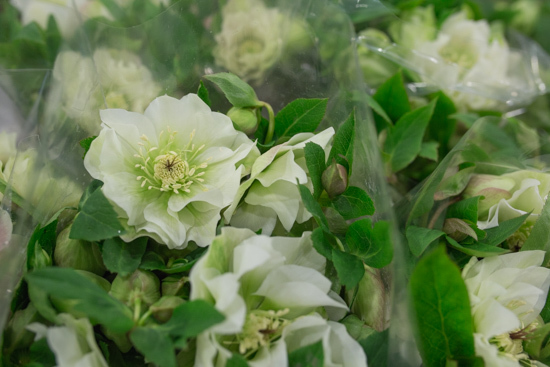 Another method is to wrap them in paper and cut the stems at an angle. 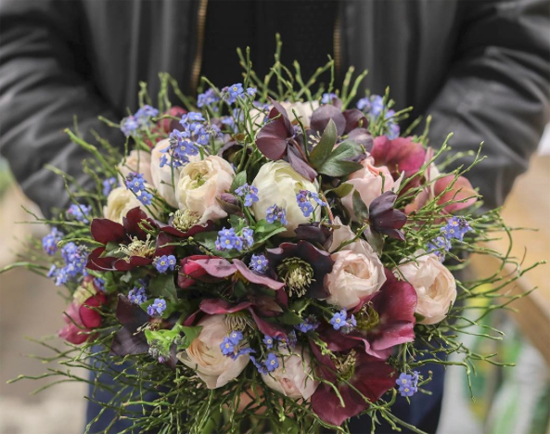 Then place them in a tall vase with a good depth of cold water and leave them for a few hours. You could also try searing freshly cut stems by carefully using the flame from a match. 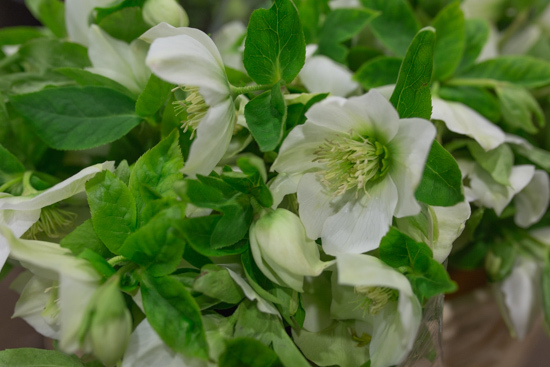 Or some people even recommend immersing the whole flower briefly in cold water. 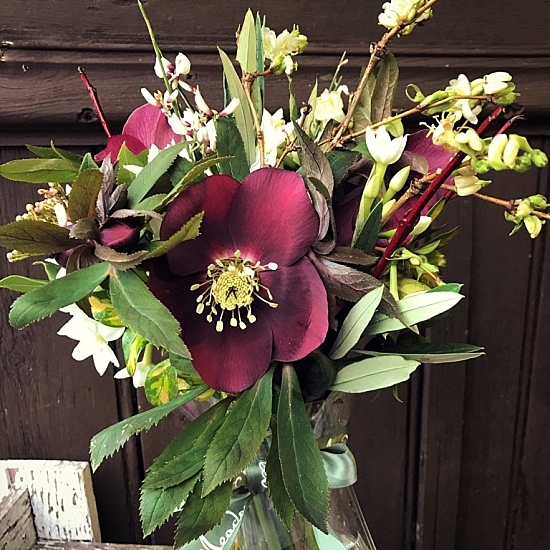 Hellebores look wonderful arranged on their own, such as for a bridal bouquet. 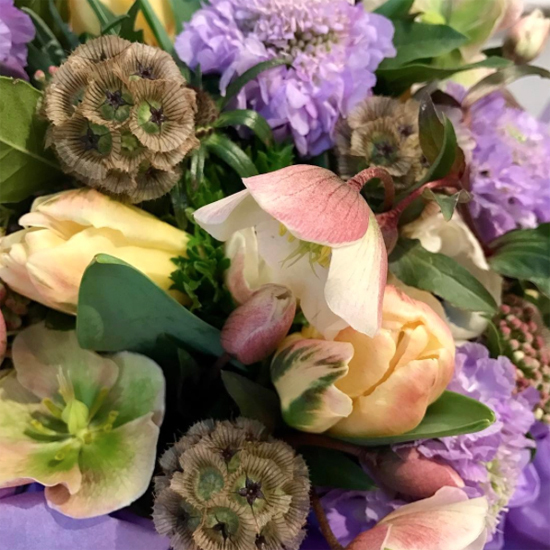 But they’re also lovely to combine with other dainty blooms such as astrantia, anemones or ranunculus in a mixed handtied or low tablecentre. 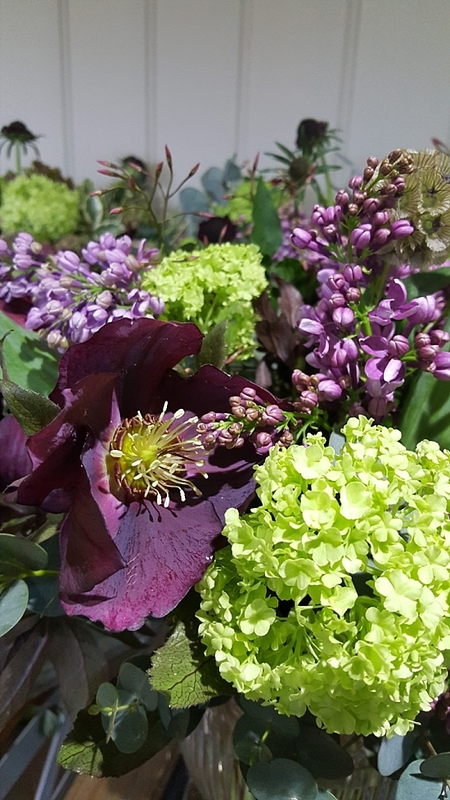 We'd love to see photos of arrangements that you've made using hellebores from New Covent Garden Flower Market. 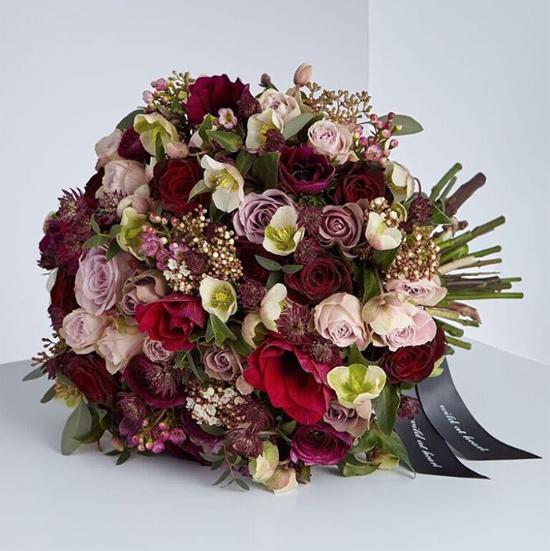 Simply send an email to hello@cgma.co.uk, stating your company name and website address. 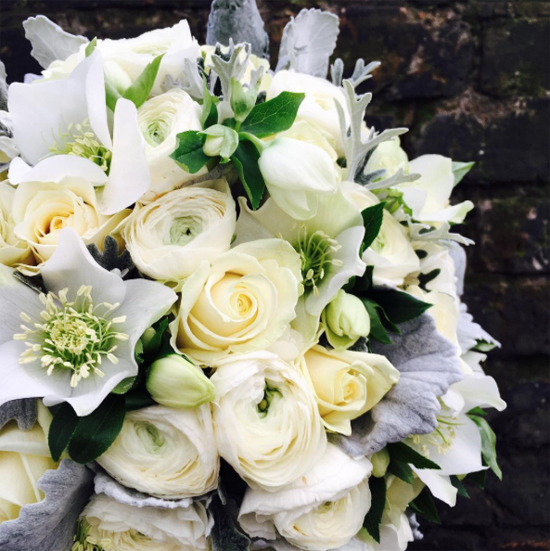 Or if you prefer, you could post your photo on Instagram or Twitter and copy us in, by tagging @MarketFlowers. We'll then upload your photos into this section.